I’ve been to the promised land; on a balmy Tuesday afternoon, I took the Q train up to 57th and attended the Manolo Blahnik sample sale at their 54th street store. I was glad to see a modest line outside of the brick building; this event hasn’t been extensively advertised, so security was able to limit the maximum number of customers inside of the shop to 20. With a line of only 10 people, this event was remarkably small, and the line-wait was only 20 minutes long. 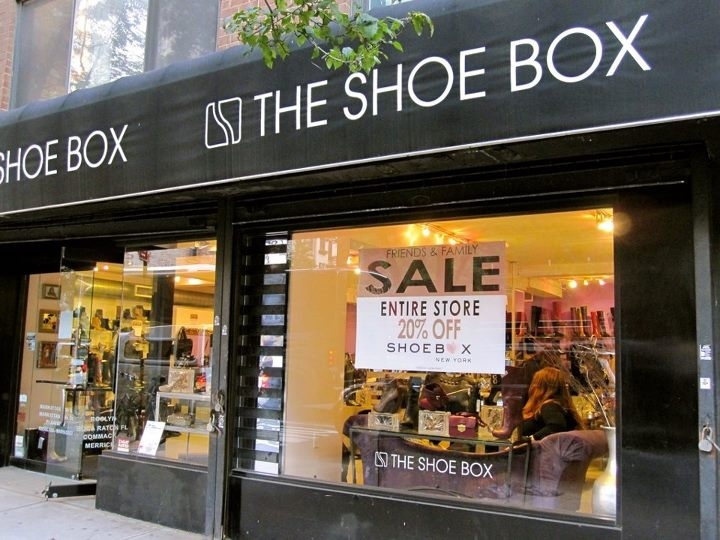 The store was gorgeously organized, with a long table extending one side of the front room into another room that held shelves of shoegasm-inducing heels and sandals. However, the other side of the room was discretely marked “not part of sale”, leading to a broken dream of owning a pair of hot pink stilettos with that signature-Manolo Swarovski buckle. Sigh. Ultimately, I was able to swipe two pairs of heels for $195 each (originally priced at $845). The prices are amazing for Manolos, so if you have an afternoon to spare, I highly recommend checking it out*. Just be warned if you have a foot size of less than 10: they seemed to be running low.